(Reuters) - Starwood Hotels and Resorts Worldwide Inc (HOT.N), owner of the Sheraton and Westin brands, accepted a sweetened $13.6 billion (9.4 billion pounds) acquisition offer from peer Marriott International Inc (MAR.O), spurning China's Anbang Insurance Group's latest bid. The bidding war for Starwood has pitted Marriott's ambitions to create the world's largest lodging company with about 5,700 hotels, against Anbang's drive to create a vast investment portfolio of high-yielding U.S. real estate assets. Earlier this month, Anbang agreed to pay Blackstone Group LP (BX.N) $6.5 billion for Strategic Hotels & Resorts Inc, whose 16 luxury properties include the Four Seasons Washington D.C., after buying New York's Waldorf Astoria Hotel last year for $1.95 billion. If Anbang stays in the race and launches a successful new bid for Starwood, the acquisition would be the largest ever by a Chinese company in the United States. Starwood's merger agreement with Marriott now prevents it from communicating with Anbang, but the Chinese company could still make an offer for Starwood's board to consider before its shareholders vote on the Marriott deal on April 8. Anbang would not comment on Monday on whether it was planning a new bid. "It's likely that the Anbang consortium will increase its offer because that group may be motivated more by obtaining Western assets and shifting capital outside China than by generating value or earnings accretion," Nomura Securities International Inc analysts wrote in a note. Marriott raised the cash portion of its offer to $21 per share from $2 per share, valuing the total bid, which also includes stock, at $79.53 as of Friday's close of trading. The company had clinched a deal with Starwood in November for $72.08 per share. "In the further diligence we have completed in last five months, we have become even more convinced of the tremendous opportunity presented by this merger," Marriott Chief Executive Officer Arne Sorenson told analysts on a conference call. "That confidence is reflected in our higher offer." Marriott said it believes it could achieve $250 million in annual cost synergies within two years after closing the deal with Starwood, up from $200 million estimated in November 2015 when it signed its original merger agreement. Despite the higher price, Marriott is still getting Starwood for less than 12 times its estimated 2017 earnings before interest, tax, depreciation and amortization, which the Nomura analysts argued was "compelling value." Starwood shares closed 4.5 percent higher at $84.19 while Marriott shares were down 1.2 percent at $72.30. "We believe this is the best bid Marriott is willing to make," Canaccord Genuity analyst Ryan Meliker wrote in a note. 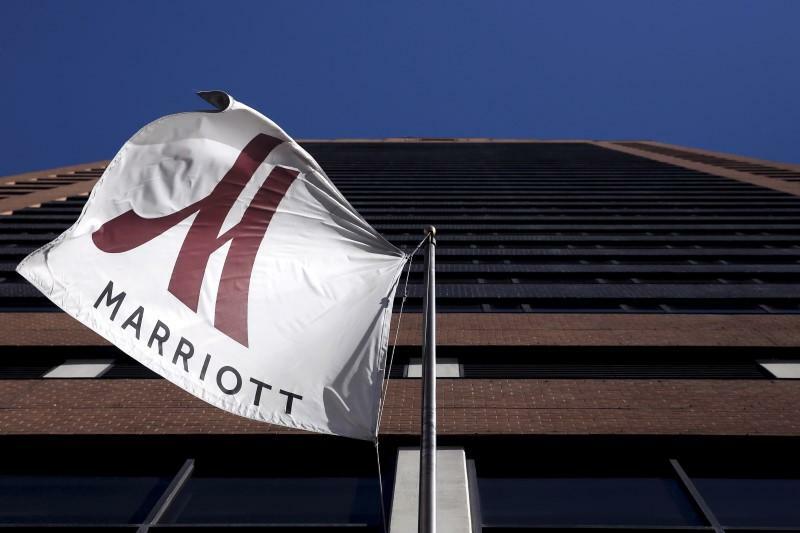 The consortium led by Anbang had challenged Marriott with an initial nonbinding offer of $12.8 billion on March 14, raising it later to $13.16 billion, or $78 per share in cash. An acquisition of Starwood by Anbang would probably face scrutiny by the Committee on Foreign Investment in the United States, an interagency panel that reviews deals to ensure they do not harm national security. However, sources have said both sides believe that deal would receive CFIUS clearance. A Marriott-Starwood combination would bring together 20 brands, including Ritz Carlton and the Autograph Collection. "The power of the information and guest relationships to me is the greatest value that would come out of this for Marriott," said Bjorn Hanson, a professor of hospitality and tourism at New York University. "Control of so much information enables for there to be better targeted marketing and pricing," he said. The combined company will have more than 5,500 hotels with 1.1 million rooms worldwide, giving Marriott a greater presence in Europe, Latin America and Asia and allowing it to better compete with apartment-sharing startups such as Airbnb. Marriott's merger with Starwood has cleared antitrust review in the United States and Canada. Approvals from the European Union and China are pending. Under the revised agreement, Starwood would pay a breakup fee to Marriott of $450 million, up from $400 million previously. The investor group Anbang is leading also includes private equity firms J.C. Flowers & Co from the United States and China's Primavera Capital. Lazard (LAZ.N) and Citigroup Global Markets Inc (C.N) are financial advisers to Starwood, and Cravath, Swaine & Moore LLP is its legal counsel. Deutsche Bank Securities (DBKGn.DE) and Gibson, Dunn & Crutcher advised Marriott. PJT Partners Inc (PJT.N) is Anbang's financial adviser, while Skadden, Arps, Slate, Meagher & Flom LLP is its legal counsel.